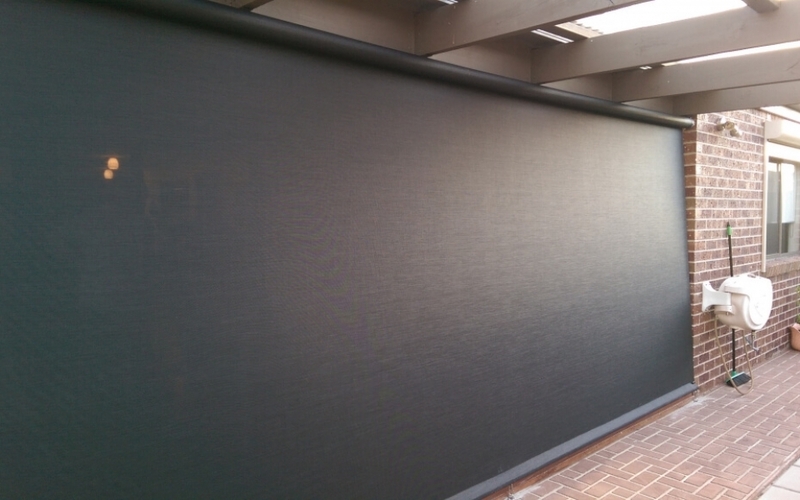 Vistaweave is an sunscreen fabric made for outdoor blinds and awnings. 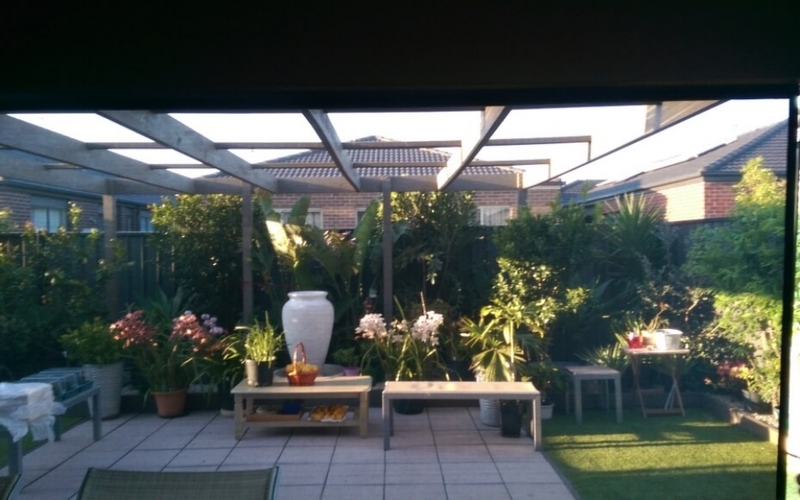 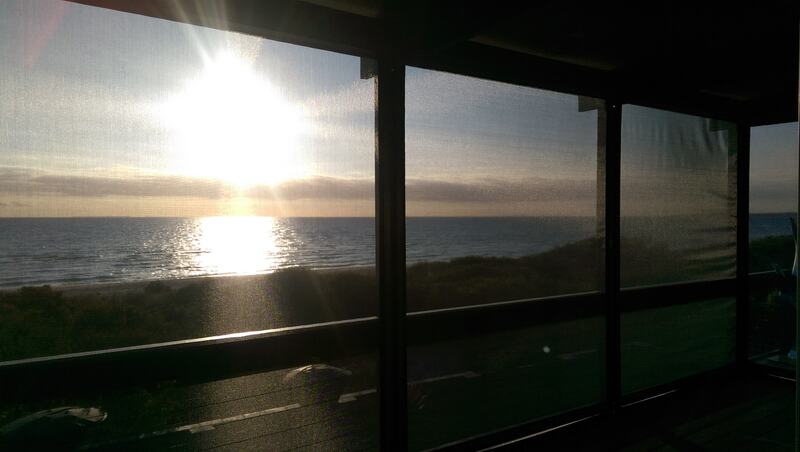 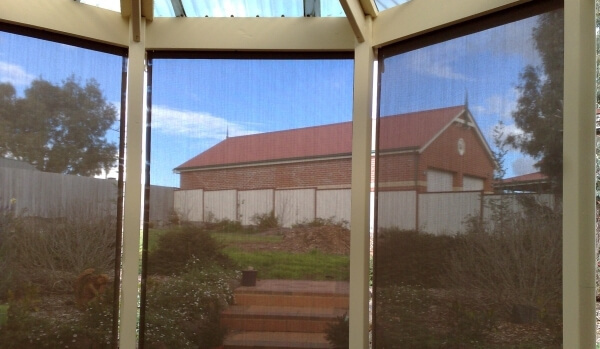 It shields you from Melbourne's sun and weather while still allow you vista views. 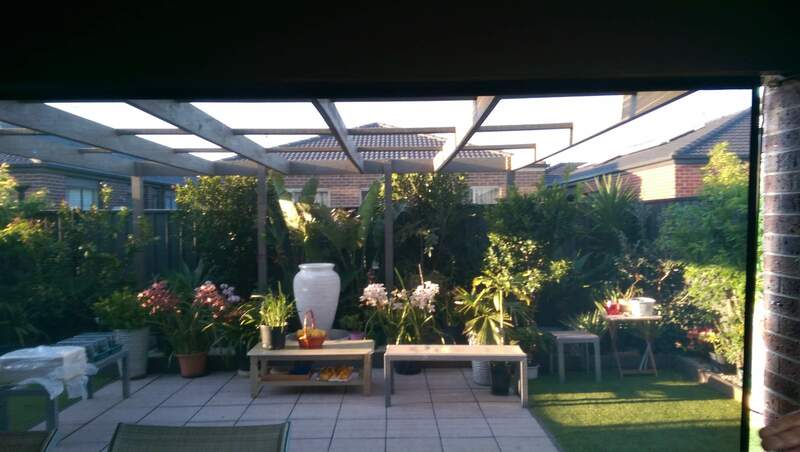 You can choose form either a 5 % or 10% openness factor depending on how much view you require. 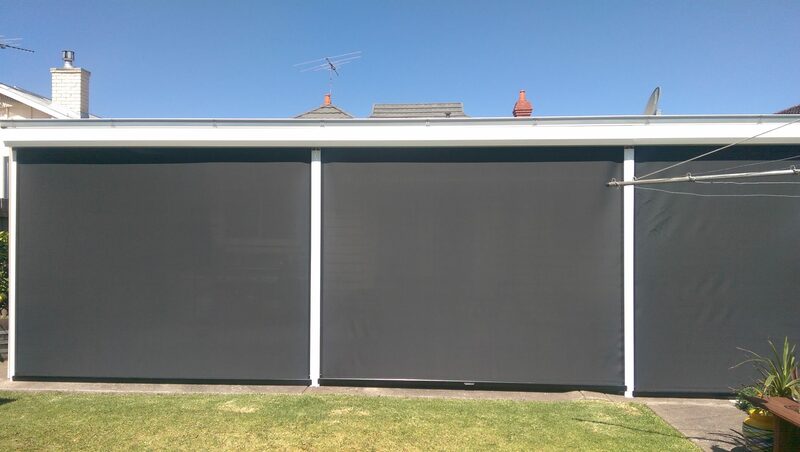 Can be used on any kind of outdoor blind and awning where sun, wind and rain protection is required but still allowing you to view through to the outside. 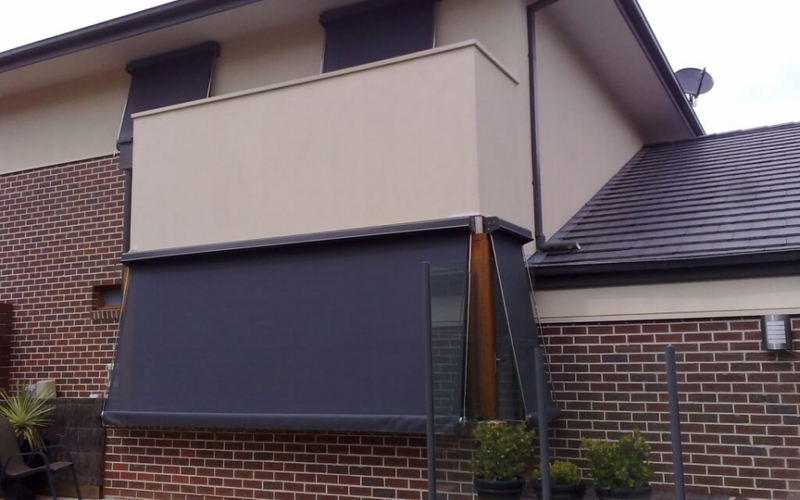 They have been used on the traditional auto awnings, fixed guides, ziptrack blinds, cafe blinds as well as retractable roof systems. 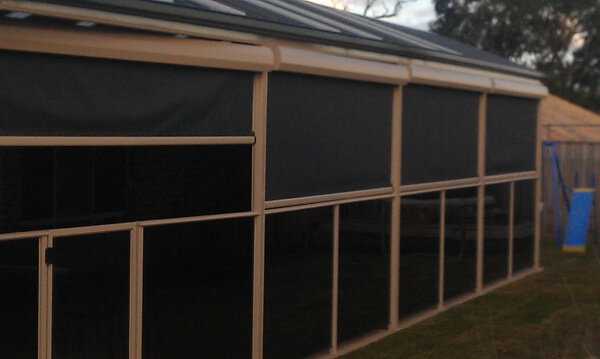 Ideal for hospitality, commercial and domestic uses. 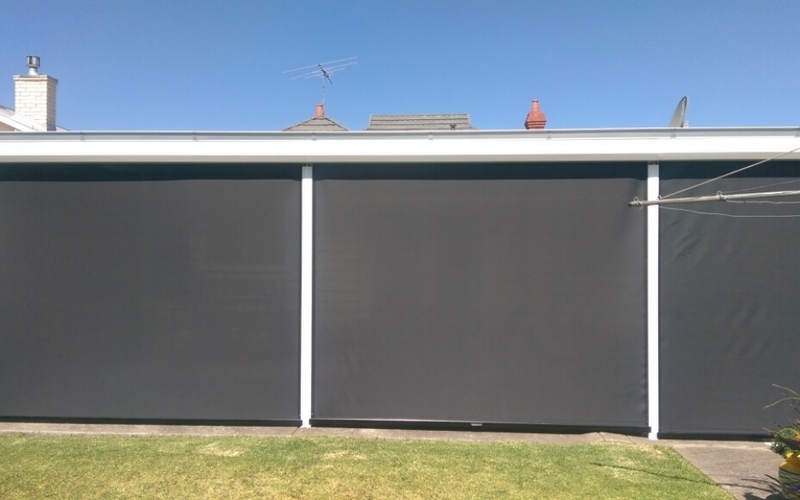 It comes in a large range of solid colours and stripes with either 5% or 10% openness factor depending on how much view or weather protection is required. 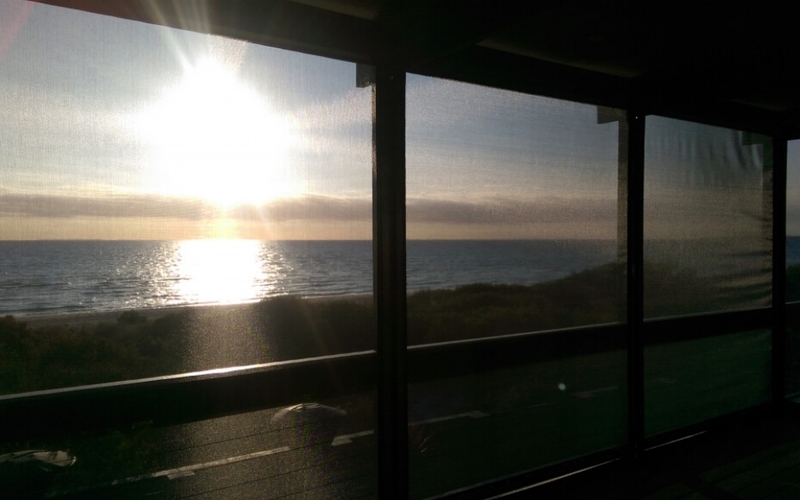 5% gives you the most weather protection while 10% the most view. 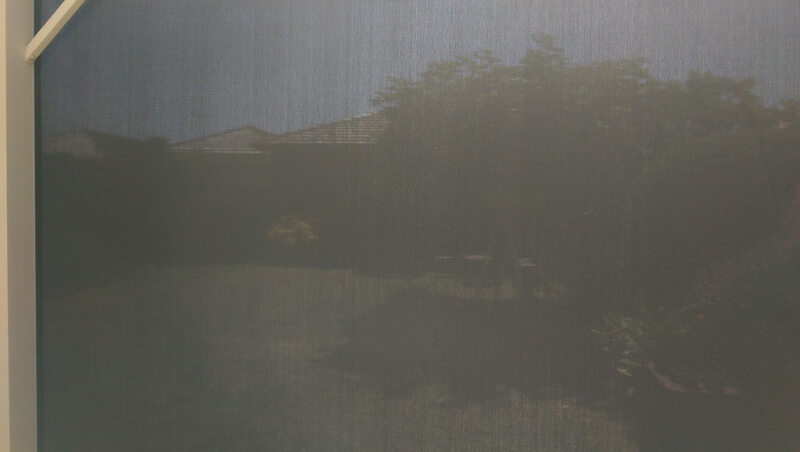 Also darker colours seem to allow more view than the lighter colours. 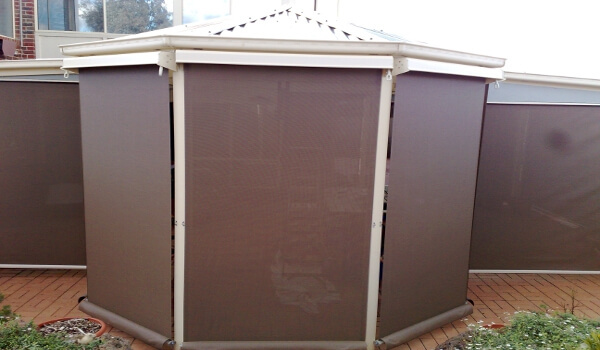 Vistaweave also comes in a thicker version for heavier wind areas. 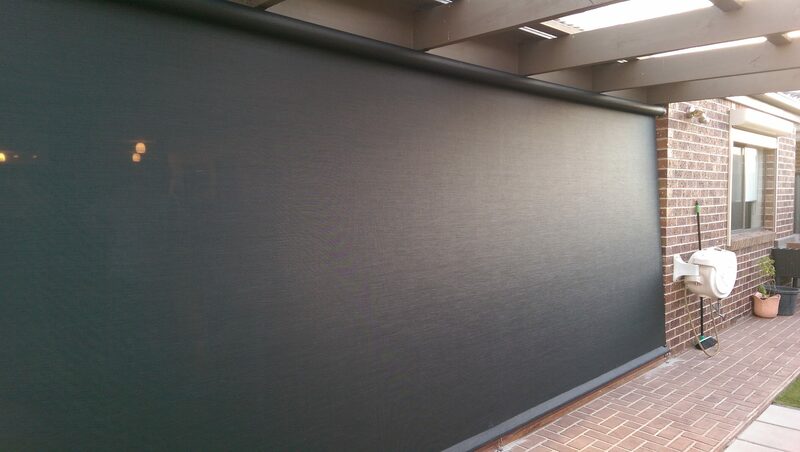 Vistaweave sunscreen fabric is made in America from PVC and reinforced with nylon thread making it strong and durable. 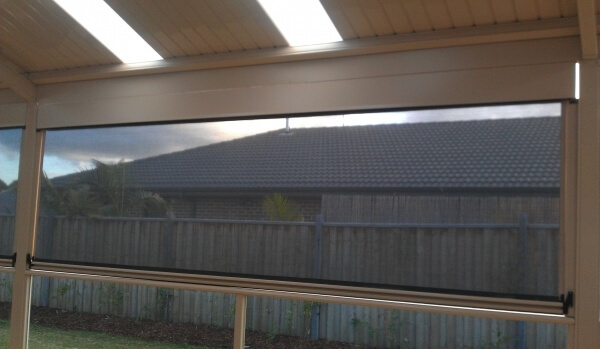 Won’t shrink or rot and comes with a 10 year UV degradation warranty. 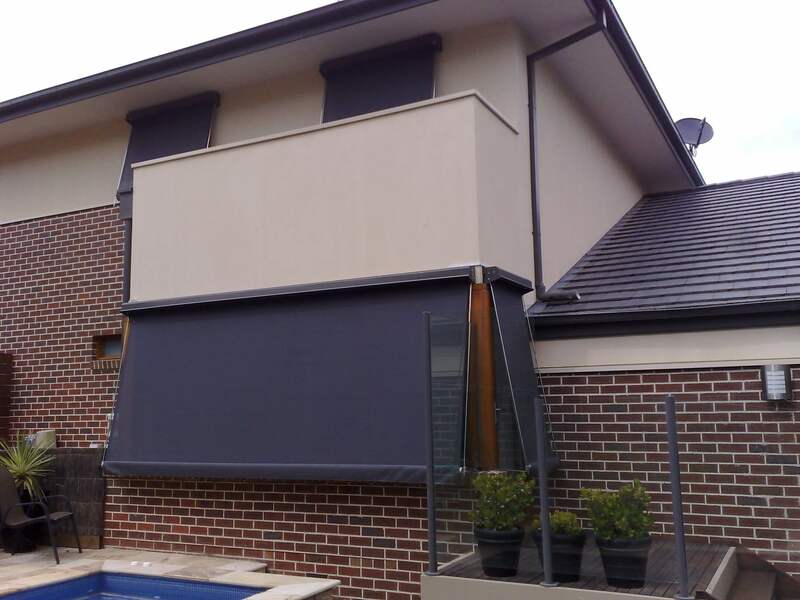 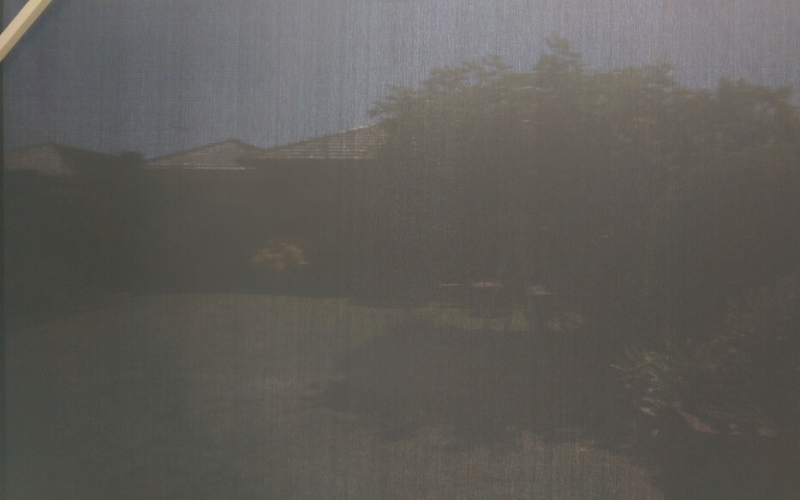 Sunscreen blinds using Vistaweave can be made without joins in the fabric for an uninhibited views and is strong enough to be made without hems or large sizes allowing less wrinkling of the fabric when rolled up.